While I was pregnant we were one of those annoyingly naive couples. You know the sort. Those who maintain that having a baby won’t change anything. That baby will just slot effortlessly into their lives with minimum disruption. Well, that may not have entirely worked out (unsurprisingly! ), but we have tried to carry on doing the things we love. At the top of the list is camping. We try to get away a few times a year and vowed to carry on with baby in tow. We did agree one small concession early on, which was to wait until the warmer summer months. Last year we went in March when it was a tad too cold (even if we’d never admit it!). 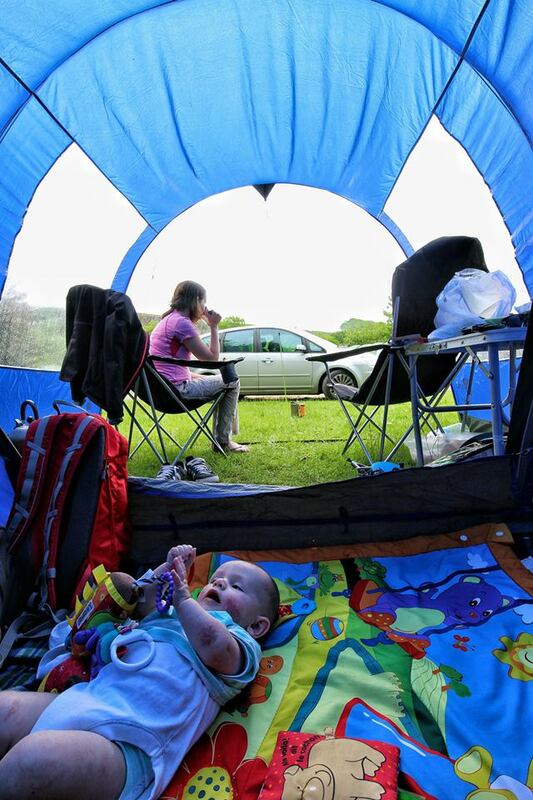 So for our first family camping trip we decided on a long weekend in the Peak District. Far enough away to feel like a proper break (and obviously lovely scenery to boot) but close enough to come home if it all turned out to be a terrible idea. I’ll admit to a few wobbles before we went, especially as our otherwise delightful baby has recently decided that sleep is overrated. Also, being 5 and a half months, he’s at an awkward stage. I am still breastfeeding, but had just started introducing solids. As it turned out, it was all fine. Better than fine in fact! Feeding wasn’t an issue at all. I just kept it simple. I have recently perfected the art of feeding lying down, which is very handy in a tent! Despite wanting to be the perfect, organic, home cooking mum, I did resort to pouches of baby food for ease. I also worried about changing him, especially as he is prone to a poo explosion from time to time (or every morning). For this I found that disposable bed mats were a godsend. I originally took them to protect his travel cot, but they made great changing mats. They were also useful in the night as I could slide baby over to me on a mat when he wanted a feed. This weekend also cemented my view that there is no such thing as too many wet wipes. So all in all I have to say our first trip was a success. 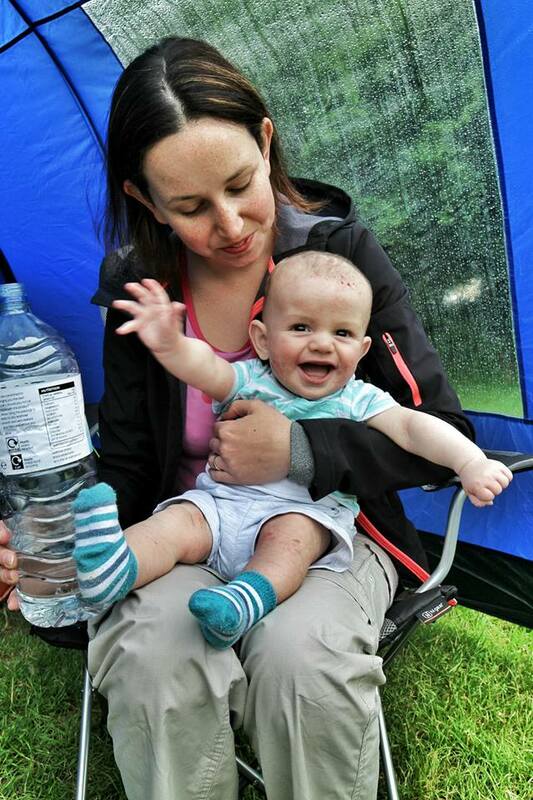 Baby loved it, he spent many a happy hour on his playmat, or watching the world go by our tent. He loved being a celebrity when our camping neighbours all came to fuss over him. He even proved to have a typically stoic British disposition when we headed out for a walk in less than ideal weather. He donned his little raincoat and kept on smiling. I’m so happy he’s taken to camping and the outdoor life (not that he had a choice!) and I can’t wait for next week when we’re doing it all again. Like many people, when I'm not working long hours, I love spending as much time as possible outdoors visiting interesting and beautiful places. I particularly enjoy sharing my passion for long walks and all things camping. This year is a little more exciting as our baby boy is joining us on our adventures. 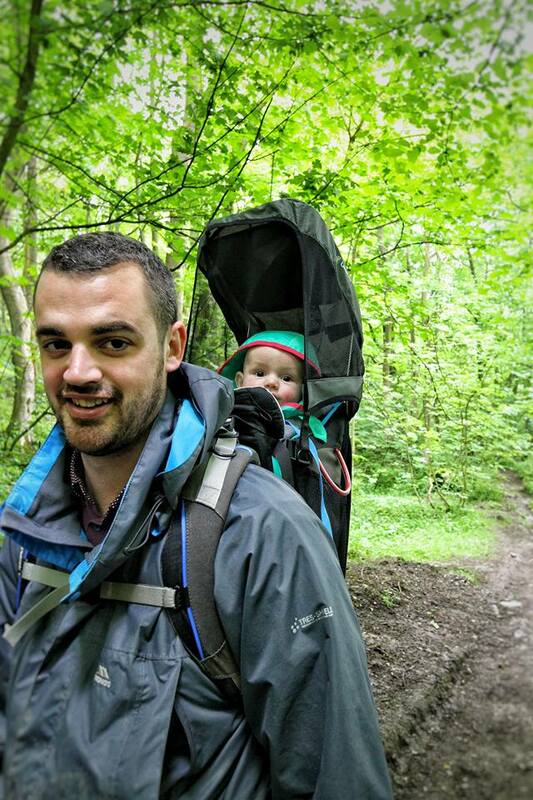 It's a steep learning curve but we're determined that he's going to grow up loving the great outdoors. As well as baby’s sleeping bag, did you put him inside a little mini-tent? I’m trying to work out what he’s in in the first pic…! We used a koo-di pop up cot when he was small. 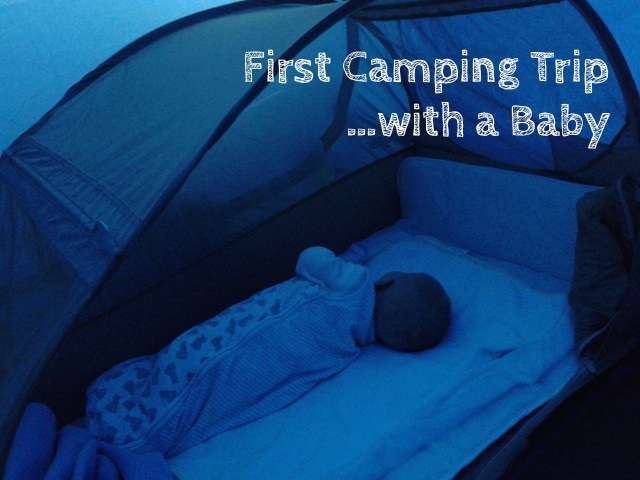 It’s a bit like a small tent, but is a fab travel cot – one of our best baby buys! Hi Lauren, just wondering what tent you have? Sorry only just seen your message. 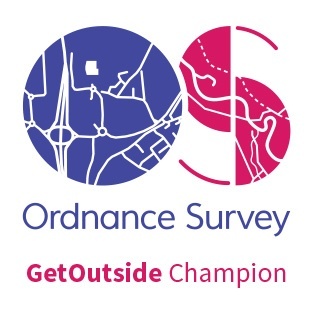 When this post was written we had a hi gear Rock 4 from Go Outdoors. I don’t think it’s available anymore but it was a fab tunnel tent and we loved it. 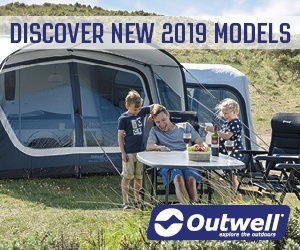 We now have an Outwell Montana 6ac which us an airtent, lots of room and easy to put up.  You’re braver than us Lauren – we’ve decided to re-explore camping with a 6 year old and an 18 month old, but with hindsight maybe younger would have been easier! Plans for the weekend were thwarted when we collected our new tent, an ex-display so we didn’t realise quite how much of the boot space it would take up… we need a roof box… but we’re trying it in the garden first instead. Anyway, what did you choose for your little boy to sleep in? My big girl has a junior sleeping bag that we’ve used before, but I’m torn between a ‘proper’ sleeping bag for my smallest girl that she can grow into, or double bagging with the baby sleeping bags she usually has. Even a junior bag looks large! It definitely is easier while he can’t move! We haven’t got long before everything-including camping-gets a whole lot harder. We’re also in the same boat-we’re looking at roof boxes-it’s amazing how much stuff small people need! Regarding sleeping arrangements, he currently just wears a baby sleeping bag. He hates being too warm so I generally don’t worry too much. If it is a cooler night I put him in a long sleeve vest and fleece sleepsuit. I’ve also got a couple of extra fleece blankets as well. I also make sure he’s well insulated underneath as a lot of cold comes up from the ground. I haven’t even started thinking about ‘proper’ sleeping bags yet. Hope that helps.